Great Eastern Railway 1 Posh German car 0…..
A steam locomotive hit a car in a crash at a level crossing. 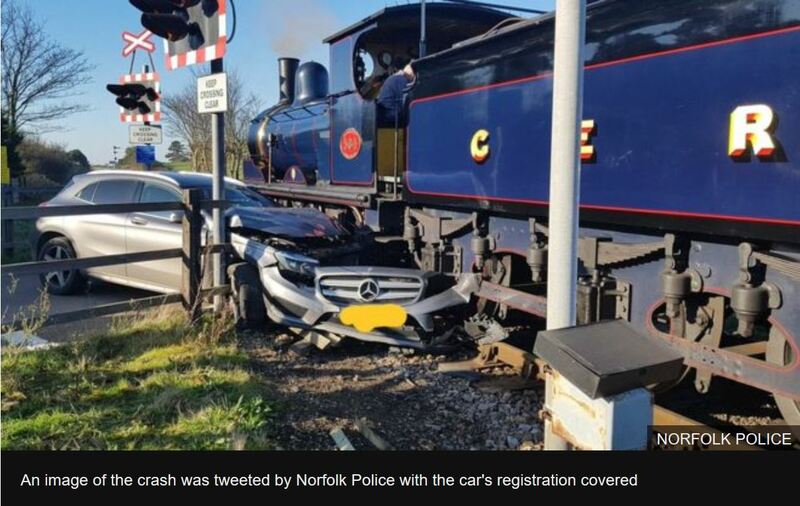 The 1912 Y14 locomotive ploughed into the silver Mercedes near Sheringham railway station, Norfolk, at about 11:30 GMT. It is thought the motorist was heading to a nearby golf club at the time of the crash, which badly damaged the car. The engine – built in 1912 – had been travelling at 8mph to Weybourne to hook up with a dining car, a North Norfolk Railway spokesman said. ‘Train emerged victor’. A possible, if rather morbid, idea for a layout? For anyone who likes their history, London’s transport network has plenty of curious, lesser-known quirks in its back catalogue. Lately, we’ve delved into the Tube – the world’s oldest underground railway network – and the unique tiling that varies between stations, as well as the famous stop that commuters can no longer use. Next up we have the now-defunct train route that for nearly 90 years had one purpose – to transport dead bodies out of the city centre. And at up to 2,000 a year at its peak, there were a lot of them. The Necropolis Railway was in operation from 1854 to 1941, and ferried corpses almost daily from London’s Waterloo station along a 23-mile direct route to the newly-built Brookwood Cemetery near Woking in Surrey. It was a solution to the grim reality that London’s graveyards had run out of space. While the capital’s population was exploding, so was its death toll. It’s club night on the LNER? 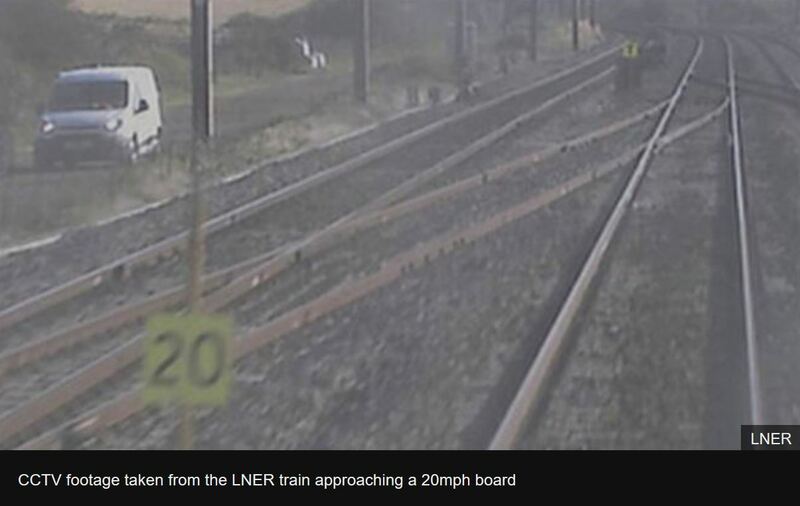 A train travelled at 120mph (193km/h) on a section of track with an emergency 20mph (32km/h) speed restriction, investigators have said. The Aberdeen to London King’s Cross service went through the section at Sandy South Junction, Bedfordshire, on 19 October. The speed restriction was imposed on 18 October because maintenance staff had found a crack in a set of points. The Rail Accident Investigation Branch (RAIB) is investigating. This entry was posted in Out and about, Prototype and tagged inspiration, prototype, railway. Bookmark the permalink.